As part of our ongoing programme to ensure that all MSL engineers are fully up to date with H&S legislation and best work practice. 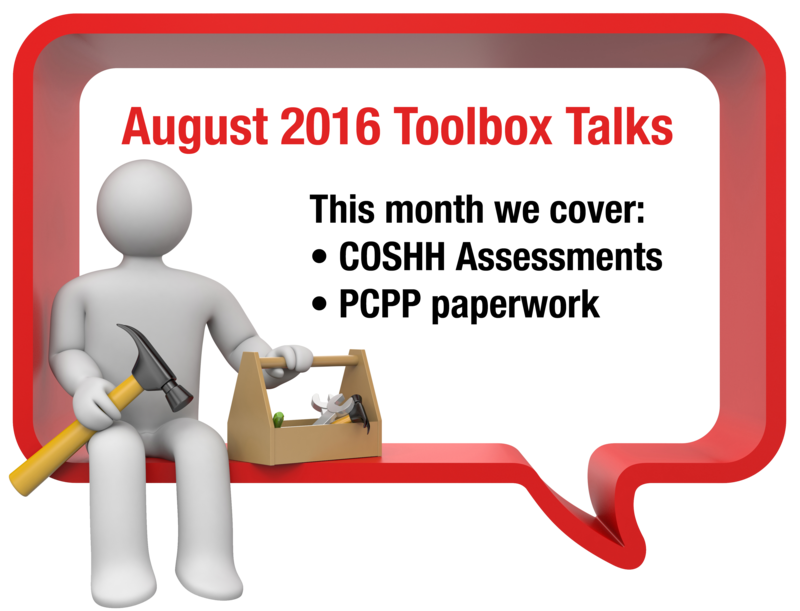 We hold monthly Toolbox Talks where health and safety information is discussed. The Control of Substances Hazardous to Health Regulations 2002 (COSHH) was introduced for the protection of people’s health whilst at work. What is a hazardous substance? Anything that is toxic, corrosive, harmful, irritant, micro-organisms or substantial quantities of dust which could be hazardous to your health. In other words any: substance, material, mixture or compound which can harm or affect people’s health whilst they are at work. The Regulations require employers to assess the risk to health from personal exposure to any harmful substance, prior to any work taking place. The employer must utilise any possible alternative substances or amend the process or method of work to reduce the risk, and personal protective equipment is to be used in accordance with the relevant COSHH Assessment. It was emphasised to the engineers the risks arising from working with a hazardous substance and the precautions that must be taken when using or handling it. Precautions include having all relevant information relating to the product or process and the correct personal protective equipment to undertake the work. Introduction of our new Project Construction Phase Plan booklets. We have merged the requirements of the new Construction Design and Management regulations (CDM 2015) into our current Risk Assessment and Method Statement booklets. Extra sections such as – PPE requirements, Welfare facilities and emergency arrangements have been added. 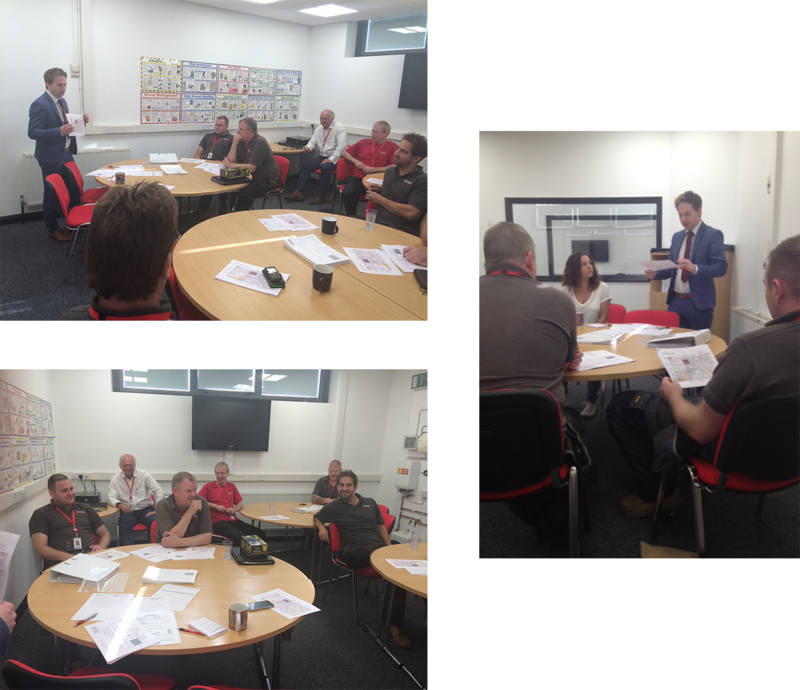 Lee Ainsley of Stallard Kane Associates, MSL’s Health & Safety advisers assisted with the presentation which included discussion of where and when these booklets must be used. A flow chart that assists in the use of these booklets was circulated and discussed.